Abu Dhabi: A $5 million (Dh18.35 million) international grant launched by the UAE will help find innovative solutions to increase rainfall that will address fresh water scarcity within the country and other arid regions across the world. The UAE Research Programme for Rain Enhancement Science will give the grant over three years to the selected research projects of any public or private institutions in the UAE or abroad, senior officials said while launching this international programme on Tuesday at Abu Dhabi Sustainability Week. Any institution — public or private, profit or non-profit anywhere in the world — can apply for the grant in an annual competition. In special cases, even individuals’ application will also be considered, if they can prove that they have the facilities to conduct the research, they said. The programme, launched by the Ministry of Presidential Affairs and managed by the UAE National Centre of Meteorology and Seismology (NCMS), will invite a letter of intent from applicants in the first stage and the winners will be selected in a year-long review process conducted by experts in the field. The programme is expected to boost the UAE’s ongoing cloud-seeding programme, a senior official said. 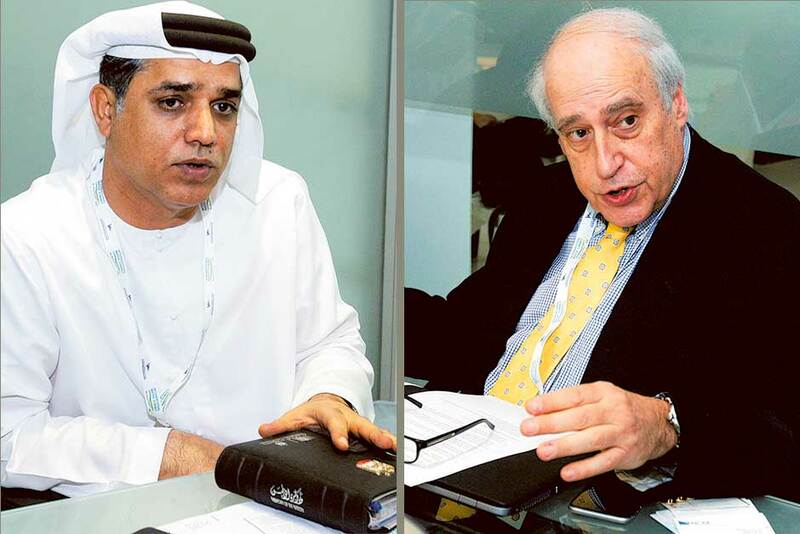 The cloud-seeding programme is relevant in the UAE as it has an arid climate with less than 100mm per year of rainfall, a high evaporation rate of surface water and a low groundwater recharge [that is far less than the total annual water used in the country], said Dr Abdullah Al Mandoos, Executive Director at NCMS and the UAE’s permanent representative to the World Meteorological Organisation. “Furthermore, the population increase and economic expansion will put additional pressure on existing water supplies and rainfall in the country. This programme has been launched to address these concerns and to advance the development of sustainable approaches for providing water to arid and semi-arid regions across the globe,” Al Mandoos said. “We are open to any technology or research that can produce more rain.” He said NCMS will consider giving access for winners to its facilities for successfully completing their research. Omer Al Yazeedi, Director of Research and Development and Training at NCMS, said the programme will help attract additional investments in research funding and research partnership globally. Alya Al Mazroui, manager of the programme, said the two-stage selection process will evaluate the technical aspects of the proposed projects and their potential to contribute to advancing regional rainfall enhancement. Experts from abroad who are part of the programme also shared their thoughts. Citing the worst drought recently witnessed in a century in California in the US, Dan Glickman of the Aspen Institute in the US said rain enhancement is one of the best solutions to address the increasing drought across the globe. “No one has found the perfect solution to the water shortage. Rain enhancement is one of the solutions,” Glickman said. Dr Kathie L. Olsen, founder and managing director of Science Works and who works as a consultant, said her previous experience at Nasa can contribute to this programme.